Fill in the form below to request a FREE no-obligation quote from us. Once completed we'll be in touch to arrange an appointment. Appointments only take approx. 20 mins and we aim to have all quotes back within 48hrs. Find out more about how we work here. We can phone you back at a time that suits you! Just fill in the form below and someone will phone you at your preferred time. The below page details what to expect when you request a quote from Cumberland Windows. The initial visit to your home is very brief, normally lasting no longer than 20 minutes. Our experience and research tell us that the vast majority of prospective customers prefer to obtain their free quotation without having to sit through endless sales presentations. Following our visit, you will receive your written free quotation, which is valid for 6 months, within 48 hours. This allows you all the time that you may need to consider your quotation, and compare it with other companies as you so wish. We arrive on the agreed date and time to discuss your home improvement with you and carry out a brief initial survey. Following the initial survey we will then prepare your free quotation back at the office and forward it on to you. It is at this stage that many of our prospective customers visit our Egremont showroom in order to view the high-quality products relating to their quotation. Once you are happy with your quotation and wish to proceed with your order, you are also given the opportunity to choose from a range of Flexible Finance options. Our experienced surveyor will then revisit your home in order to carry out a more extensive survey. At this point finalising all your personal requirements, tailor making your home improvement to your individual taste. A member of our office staff will call you a few days in advance of your installation to confirm a convenient starting date for you. Our friendly installers will then ensure your installation is completed to the highest possible standard. On completion of your home improvement, our installers will then invite you to check all aspects of your installation to ensure that you are totally satisfied. Our ultimate goal is a happy customer and we very much welcome reviews via our customer feedback centre. We recognise that good references are essential for our valued reputation. If you are about to start your home improvement plans and considering new windows, doors or a conservatory, then contact us today. Stock photos may have been used for illustration purposes only. 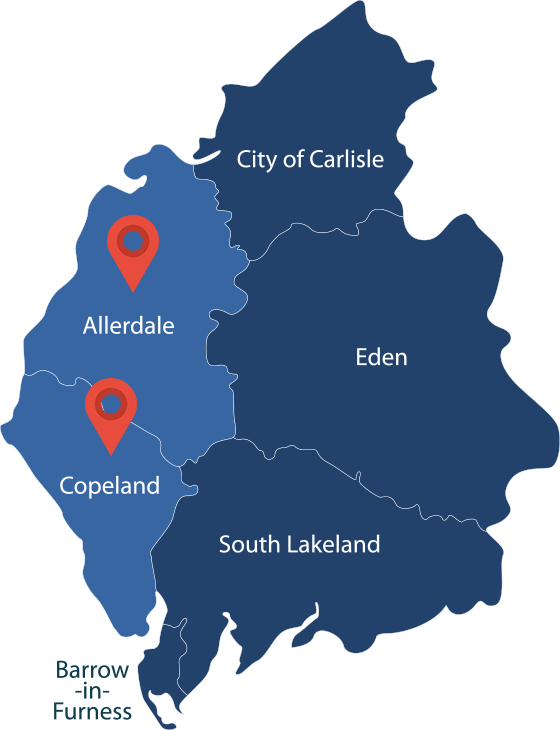 Based in Egremont, Cumbria, Cumberland Windows covers the whole of Copeland and Allerdale. Supplying high quality Windows, Doors and Conservatories. Cumberland Window Design Limited are authorised and regulated by the Financial Conduct authority. Cumberland Windows is a trading name for Cumberland Window Design Limited.